The European Athletics Promotion (Europe Athlétisme Promotion) is an independent organization of track meet organizers devoted to athletes and athletics since 1990. 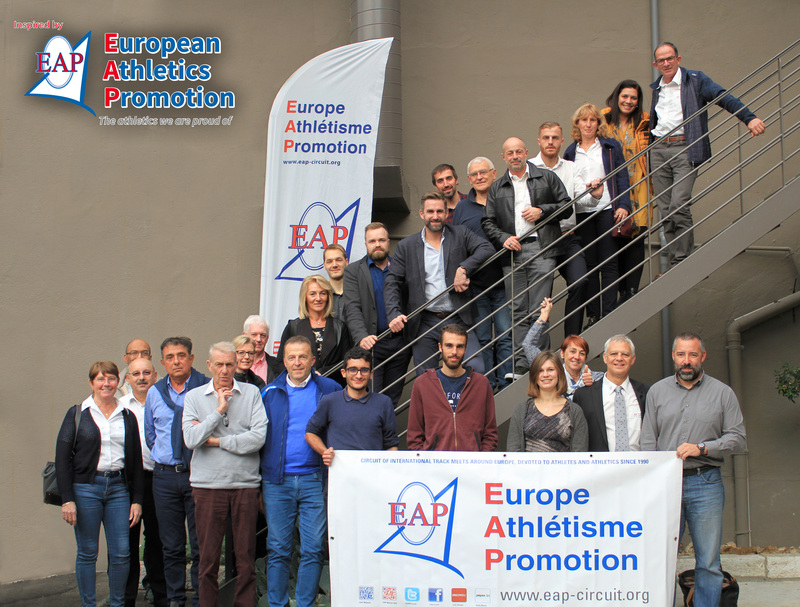 When the EAP circuit was created in 1990, its founders (Noël Levêque, Giorgio Ferrando and Pablo Cassina) firmly believed they should encourage the particiption of "the most committed" local athletes into international meets around Europe. The simply fact to give them this opportunity and privilledge, would boost their motivation. Rapidly our circuit grew and athletes were enthousiastic and interested to the idea to participate in other countries where they would find strong foreign competitors (and already thinking to going back the next year) and the incredible opportunity to travel around several countries and discover all the differences. New meets joined our circuit and new athletes where more and more excited to participate in new countries. And so they did, year after year, involving more and more people. This incredible success was seen, and still is, with some misunderstanding, suspicion, sometimes jealousy. Because the meets go out of the usual patterns and do not rely on the economic strength to attract top-level athletes. On the contrary. The important thing is to develop the athletic movement, by men on the ground, passionate people. true athletics, true people, true performances. We do what we love and we believe in what we do. 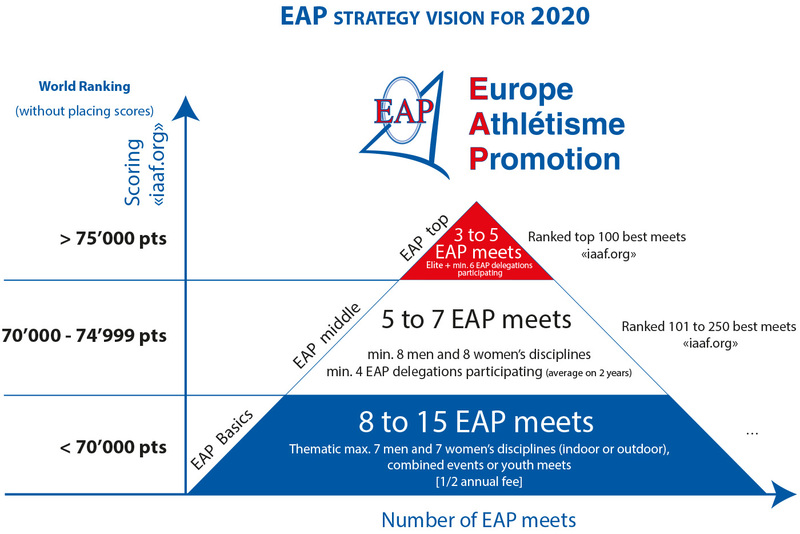 A significant number of structural changes to reinforce and reaffirm the presence of the EAP into the european athletics scene. A collective effort to review and update our guidelines through online workshops as decided at the 2018 Convention in Valence. The need to define and share our global vision.